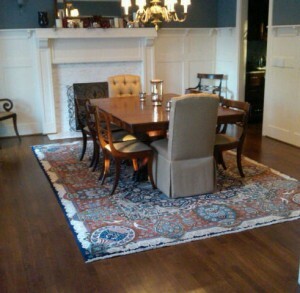 The right choice of an oriental rug can be a fantastic jumping off point for your dining room. The right style, color, and size can play off each other and the style of the room for a stunning overall look. In addition to adding both comfort and style to the dining room, the rug defines the room itself. 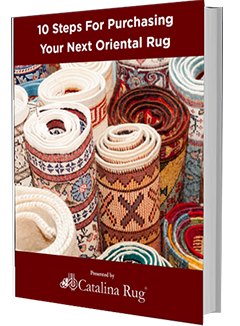 While all of these three factors style, color and size are equally important to take into consideration when looking for rugs in any room, the size of the rug takes on even more important when you are choosing one for the dining room. This is because in no other room do you move the furniture around as much. Whether it is the bedroom or the living room, when you wish to sit down, you simply choose a chair or sofa and you sit down. However, with a dining room, every time you want to sit down, you have to first pull the chair out enough so you can swing yourself into the chair and then you have to pull the chair back in again so that you can sit closer to the table. When you are done dining, you have to push your chair back out again. 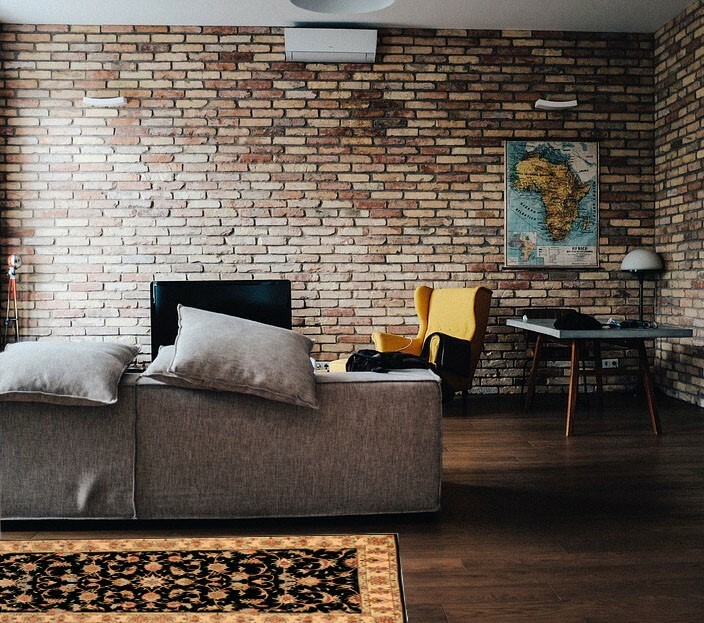 With all of that moving the chair around, there are several factors that you will need to take into consideration so there is minimum damage to your rug. One of the most important of these factors is the size of the rug. If you choose a rug that is too small and places it under the dining table, nobody is going to be able to see it and that is such a waste of a beautiful oriental rug. 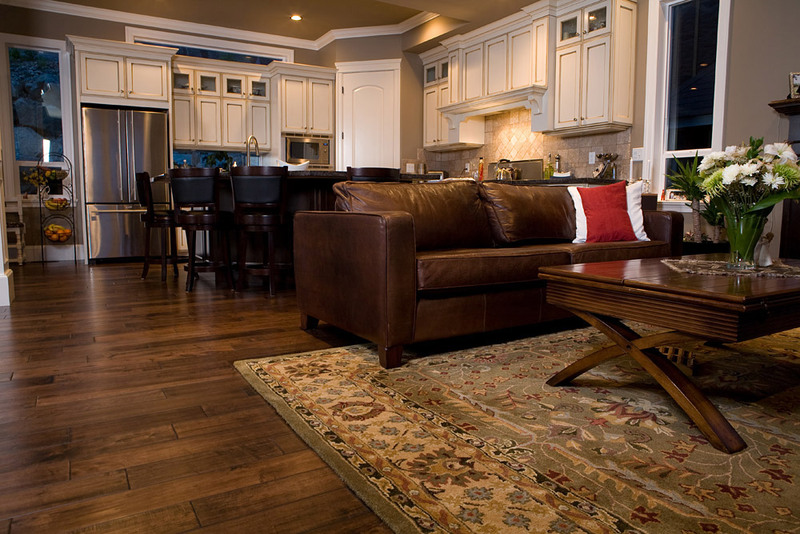 To get the correct size rug, measure the area occupied by the table and the chairs when the chairs are pulled out. To this measurement add a few inches more and you will get the correct dimensions required for this rug. 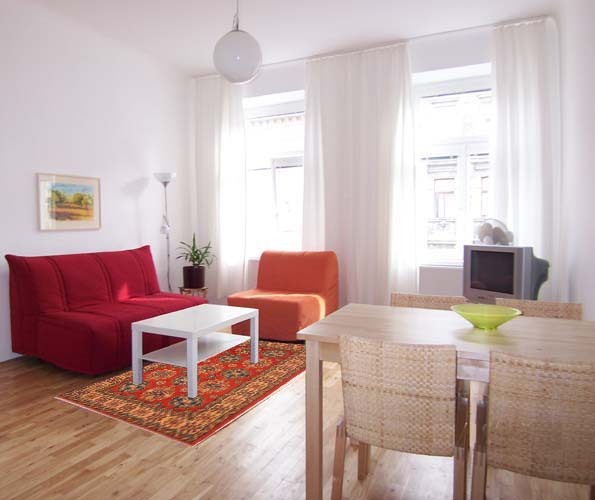 The important thing here is that the rug should be large enough so that there is enough space to pull out the chairs comfortably with the front and hind legs of the chair still on the rug. If the hind legs go off the rug while pulling out the chair, it will rub against the edge of the rug when pushing it back in. This will eventually fray the edges and cause the rug to look damaged and worn prematurely. Because dining tables vary widely in shape and size, there is no one perfect size of rug for all dining rooms. The correct size for you will depend on the dimensions of your dining table. 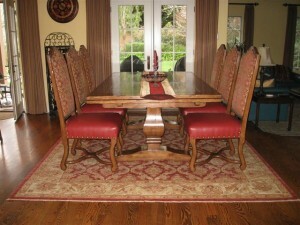 For a 6-chair rectangular dining table, you would typically need a rectangular 8 x 10 feet rug. 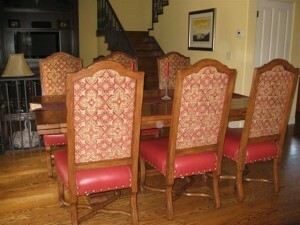 A good size for an 8-chair rectangular dining table is about 9 x 12 feet. For a round or square, 4-chair dining table, you should look at a square rug that measures 8 x 8 feet or a round rug measuring 8 feet in diameter.